Find free classifieds for Other industrial goods for sale or to buy in Rajasthan. FREEADS in India offers you a platform to post free advertisements or classifieds for Other industrial goods, Rajasthan. FREEADS in India helps you search, find, buy, sell, rent or hire in various categories like apartments, goods for sale, local services, cars , jobs and many more in Rajasthan. Shown below are ads available in Other industrial goods, Rajasthan. You can use search box above to refine your search. We are leading manufacturers and suppliers of quartz (Silica) powder and granules in India. 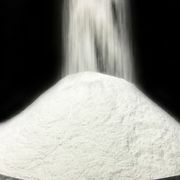 We are manufacturing finest quality of silica powder and granules in different sizes. Quartz granules sizes: 0.1 to 8.0 mm Quartz powder mesh size: 70-120, 200, 300, 325 and 400 mesh and above Our products have high Sio2 content and low Fe content with other elements as traces. JAIN INDUSTRIES has been a pioneer in the business of Lead and Lead Alloys and Polypropylene (P.P.) Chips - Granules with Environment Friendly Recycle Process, JAIN INDUSTRIES is located in KOTA (RAJASTHAN) INDIA , JAIN INDUSTRIES is known for extremely Quality - Consciousness and Believes in Evolution coming from an Orchestrated Investment in Men, Materials, Methods and Management is adapting itself to the changing market scenario and Our Customized Solutions to our Valuable Clients in order for them to Minimize their Costs and Investments and Maximize Profits. HARITSIL are Coated Silica Manufacturer and Supplier.You can purchase High quality Coated Silica Products in order to you with best competitive selling price. For More information visit our Website. http://www.haritsil.com. 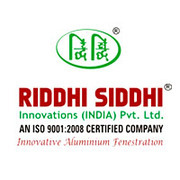 Riddhi Siddhi Innovations are manufacturers of Aluminium doors and windows to fill all your needs such as sliding folding doors, bi folding doors, etc. http://www.rsiipl.com. Mittal Industries in Rajasthan, engaged in offering packaging material such as wooden boxes, metallic shell roll, wooden cable drums, cable drums, heavy duty wooden pallets, wooden packing boxes and so on. Please Visit :- http://www.mittalind.com. Metallizing Export Company is a suppliers of thermal spray systems such as electric arc spraying system india, indian thermal spray equipment, hvof spray gun manufacturer, wholesale electric arc spraying system suppliers, thermal spray equipment and more..
we make liquid adhesives gum gum bottales and tube all type gum and powder manufacture. India ads for Other industrial goods, Rajasthan, Other industrial goods free ads Rajasthan, Other industrial goods for sale Rajasthan, Other industrial goods to buy in Rajasthan. This page is a classified ads listing for Other industrial goods Rajasthan. This listing includes classifieds for sale and to buy in Rajasthan. If you posted an advertisement on Other industrial goods, Rajasthan before please use Edit my ads button to change or cancel your ad. Other industrial goods Rajasthan ads Rajasthan, Other industrial goods classifieds Rajasthan, Other industrial goods free ads Rajasthan, ads for sale Rajasthan, ads to buy Rajasthan, FREEADS in India. Find here ads for sale, to buy and rent in Rajasthan. Goods for sale in Rajasthan, vehicles for sale in Rajasthan, Rajasthan real estate for sale, Rajasthan property for sale, property for rent in Rajasthan, business ads in Rajasthan, Rajasthan business classifieds, services in Rajasthan, Rajasthan services ads, jobs in Rajasthan, pets for sale in Rajasthan, Rajasthan dating, Rajasthan cars for sale.